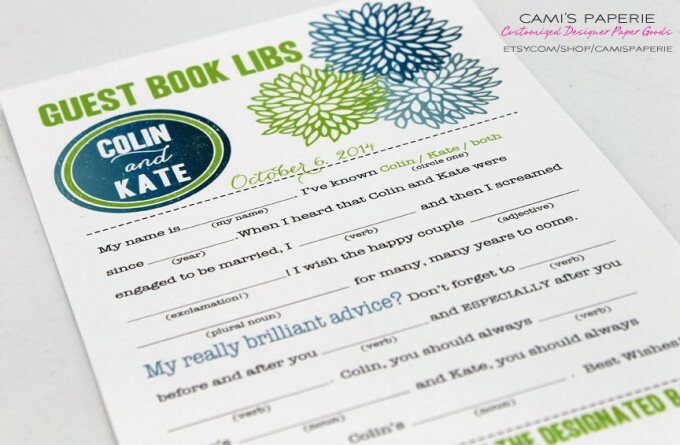 We’re sharing wedding mad libs today at Emmaline Bride! This fun idea will entertain guests of all ages. Read on for more — and don’t forget to subscribe! 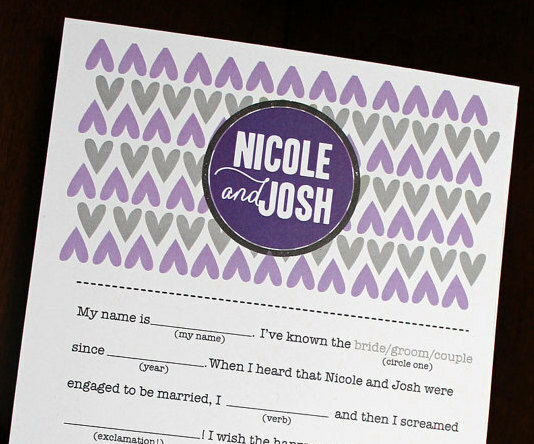 If your guests are a fun group of partygoers (like ours were), they will certainly appreciate this interactive idea! 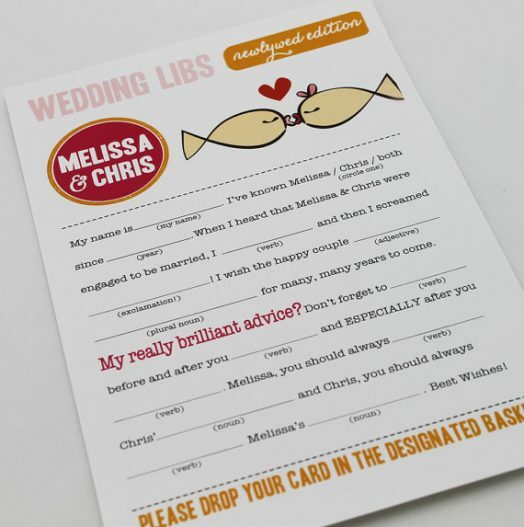 We spotted these wedding advice mad libs over at Cami’s Paperie and love the creativity behind it. 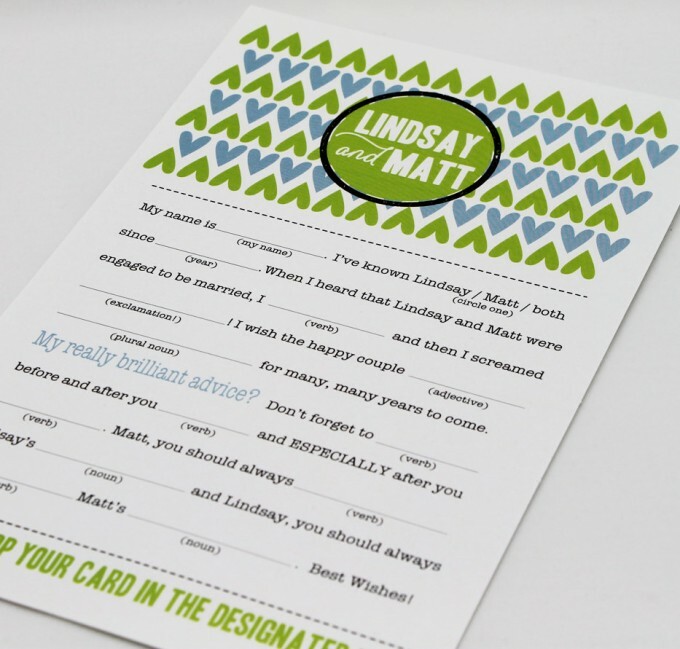 Instead of a traditional guest book, guests fill out a wedding mad libs card — WITHOUT PEEKING! The result reads as a hilarious and memorable bit of advice they’ve created based on filling in a few easy verbs, adverbs, adjectives, and nouns, where indicated. After the wedding, simply hole-punch the sides and arrange in a binder or place in a scrapbook to re-read for years to come. Check them out! There are many designs available — all custom! — and there’s no waiting for them to arrive, since they’re a printable design file. Just get the digital file and print. It’s so easy, you can have these ready for your wedding in just a few minutes! To find out more, visit Cami’s Paperie! Cami’s Paperie is a Featured Artist at Emmaline Bride. See more handmade wedding goods from The Marketplace. Want to join? Apply here for a limited time. More coming up next! Stay tuned!